Free to signup. Starts from $1 a day for Coaching. 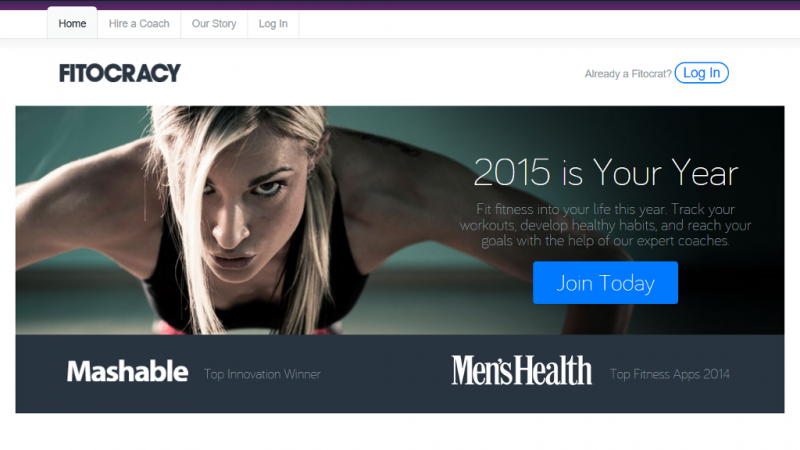 Fitocracy was launched in 2011 and is designed to make fitness more fun and a truly addictive experience. This online service uses gamification and social networking to help it's members improve their healthy habits. Fitocracy does this by offering members tailored challenges and quests that allows them to earn points and achievements which helps them push boundaries and keeps working out fun. 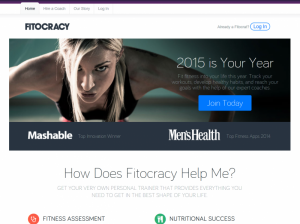 Fitocracy hosts a variety of interactive online digital tools to help monitor your fitness progress, plus a variety of plans from coaches to help with motivation and to get you on a safe and practical workout and diet regime. Most of Fitocracy online resources are free, and while it does cost money to hire a coach, prices are affordable and cost as little as $1 a day. Fitocracy has a very powerful workout tracking system. You can track hundreds of exercises, log circuits and supersets, save routines, and more. When you select a workout you want to do, you then can customize it and choose the number of sets and reps for each exercise. Most exercises in a workout program come with trainer notes which includes a video of how to do the exercise properly. We have included a few examples of this in the video section of this listing. Once the workout program is finished you can end the work out and Fred the automated Fitocracy Robot will give you your points plus any achievements you may have unlocked. Your completed workout will be added to your feed which others in your group (and any friends) will see how you are doing. They can offer motivation through comments or props (think Facebook Likes). The way Fitocracy the service motivates it's members is by offering points for any workout activity the user participates in. Users can also take on quests for additional points. Quests typically consisting of a set of related activities. One example of a quest is "Consistency Is Key". It requires the participant to log any activities at least 10 times in a week. Particularly significant fitness milestones are recognized with achievement badges. 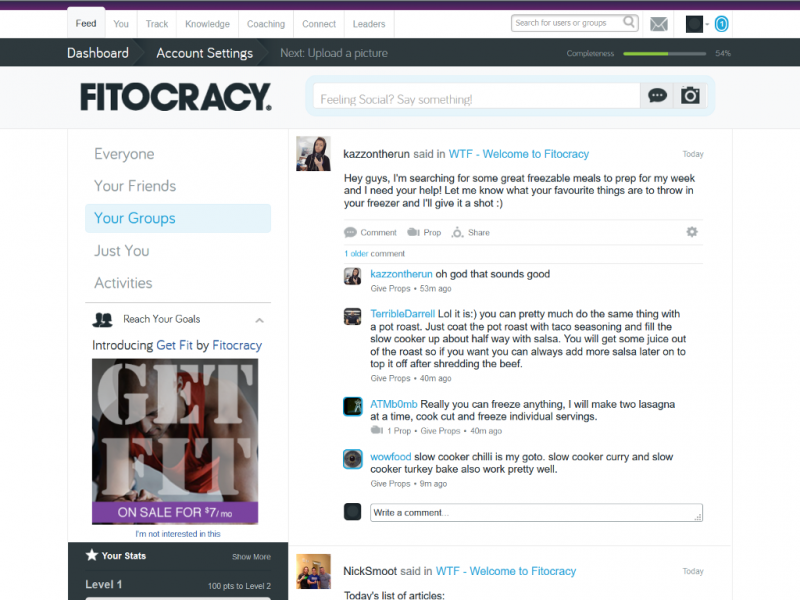 In addition to the game, Fitocracy also provides a social network which enables users to follow other users, view and comment on their workouts, give them props, and join groups for specific interests. All this information is presented on your feed page which shows your activities, and users who are your friends and belong to the same groups as you. The feed can be filtered to show just the activities of the people you want to see. 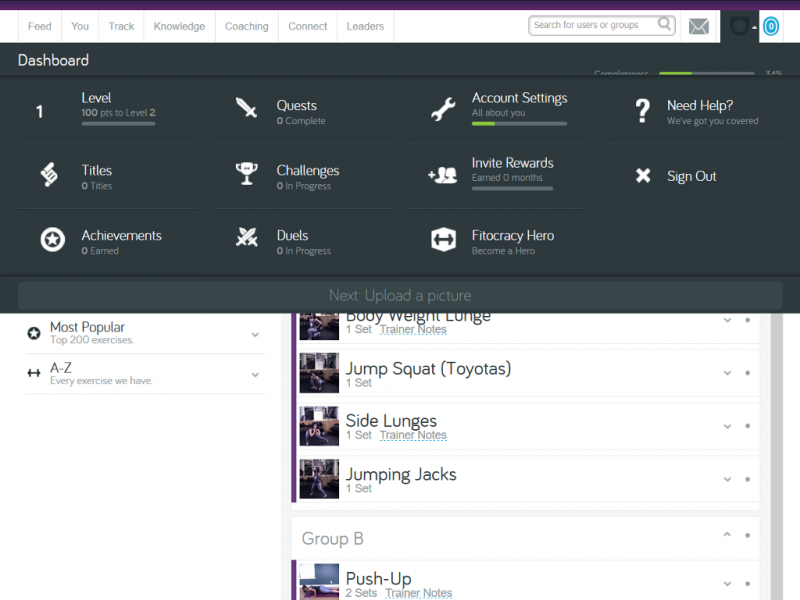 Fitocracy has 2 levels of accounts, the Standard free account and the Hero account. With the Standard account you get access to most tools on the website including the tracker, quests, and all the exercise programs. 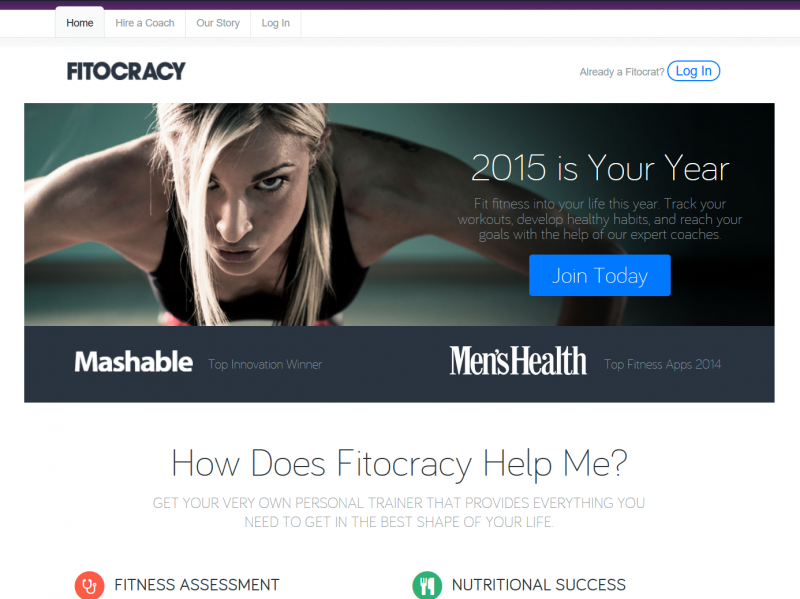 Online coaching on Fitocracy ranges in price from $30 a month to over $100 a month. There are numerous coaches available that cover Weight Loss, Muscle Gain, and One on One coaching. When you visit the Coaching page you are presented with a number of coaches programs you can choose from. Along with a short description, the price per month is also given. The level of difficulty and any requires are also displayed like gym access, tacking nutrition, and/or dumb bells. When you click on a coaching program that interests you it will bring up the overview page. On this page will be the Program Details which includes who it is for, the goals, any requirements (how long and often the training is), the schedule, and what you get out of it. The number of spots left is also listed along with any guarantees the coach may offer (most are 100% satisfied 14 day money back guarantees). If you like what you see you can join the coaches program right away or ask him or her any additional questions you may have. Gift cards can also be purchased an applied towards a Fitocracy subscription or coaching. 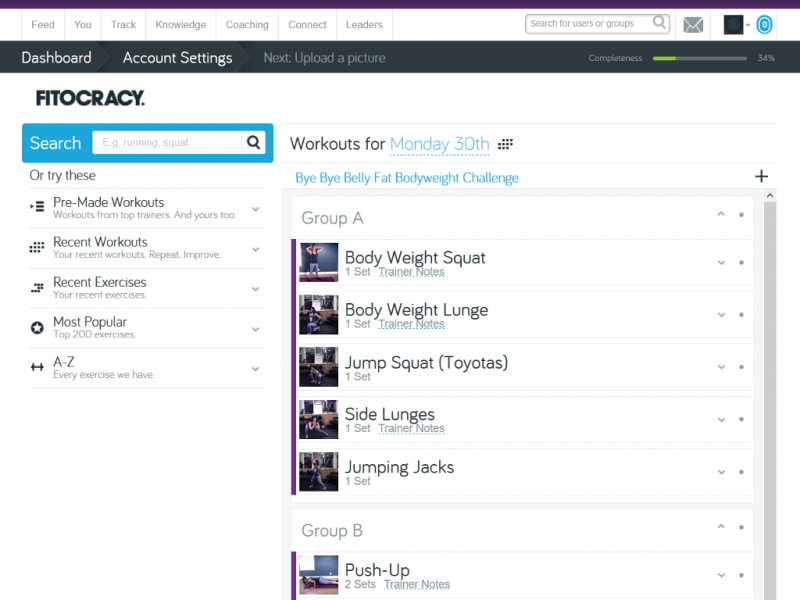 Fitocracy is a great tool for creating new workout programs for strength gain and weight loss. The tracking tool works well and is easy to use on your phone. I also liked the ability to see the history of your workout program and track how you have increased the weight, sets, and reps of any one exercises. Motivation is key and if you exercise alone the points system and your fellow Fitocrats are key motivation tools you will come to rely on to get you over any humps you may have trying to complete your workout schedule. Coaching can be a huge part of your workout strategy. The coaches at Fitocracy are knowledgeable and offer one on one communication and personalized fitness plans. There are even nutrition coaches if you need one. Coaches can get expensive so you may only get one for a couple of months until you have got your routine down. Fitocracy does contain some nutrition information that comes in the form of articles but it is a mainly a online fitness service. The app offers a lot of good features and I like the way I can create workout programs. The problem is that it crashes fairly often especially when you are making an exercise routine. Using the app to track your routines seems fine it's just when you are making them. I wish Fitocracy would fix this. If they did I would recommend this app to others. For now it is just too frustrating when it crashes. I hope they fix it soon or you may loose a customer. The app does crash every once in a while.